Filipino WBO world bantamweight champion will defend his title against the undefeated Japanese boxer Takuma Inoue of Japan on December 30, 2016 at Korakuen Hall in Tokyo, Japan. Rex 'Wakee' Salud has informed Philboxing.com. 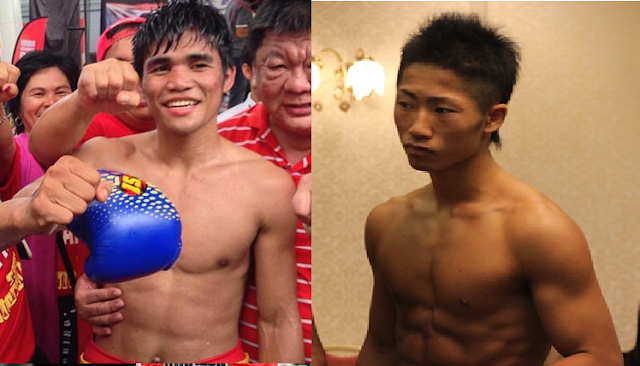 Tapales who became a world champion after beating Punluang Sor Singyo last July 27 in Thailand will be tested more against a top boxer Takuma Inoue from Japan. Tapales with the record of 29W(12KO)-2L will defend his title for the first time. Rex Wakee Salud said that the fight has been finalized yesterday September 4, 2016, after Inoue defeats Froilan Saludar via Unanimous Decision. Inoue, however, has a record consisting of 8 wins including 2 victories by way of KO and no losses already defeated 3 Filipinos including Mark Anthony Geraldo, Rene Daquel and now Froilan Saludar. Inoue is the brother of the current WBO world super flyweight champion Naoya Inoue.